Recently Dave Deming put his Yuba Mundo cargo bike to the test by attempting to haul about 1,000 bananas on it– about 400 lbs of them. to a cargo bike that starts at $1100 and is built to haul 440 lbs of cargo. Today’s milestone was our first family trip to Lowe’s by bike. While I have no special love for this big box store, it’s sells some things we can’t find elsewhere in town. It’s also located on the farthest edge of Richmond, nestled next to a interstate exchange and the typical sprawl of chain businesses and parking lots that accompanies them. None the less, we found routes there and back that involved minimal time of busy roads, arriving in 18 minutes*. In total, we rode about another 20 in-town miles today running typical errands. 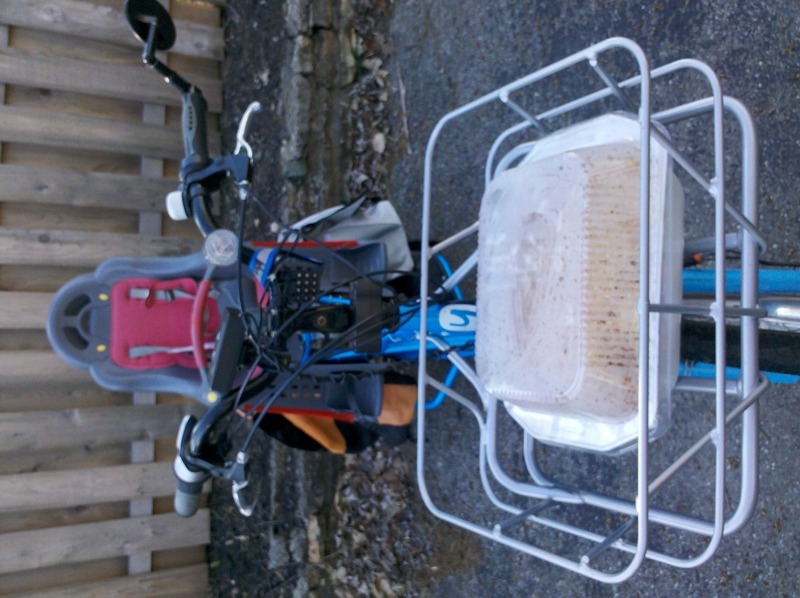 Again this seemed very reasonable on the electric cargo bike, and a workout on my fast recumbent to keep up.